Krinkle Kurl? 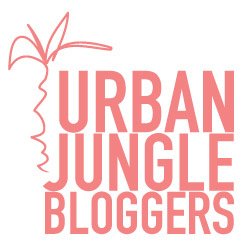 I promise you this post is not about hair products or hair styles :). 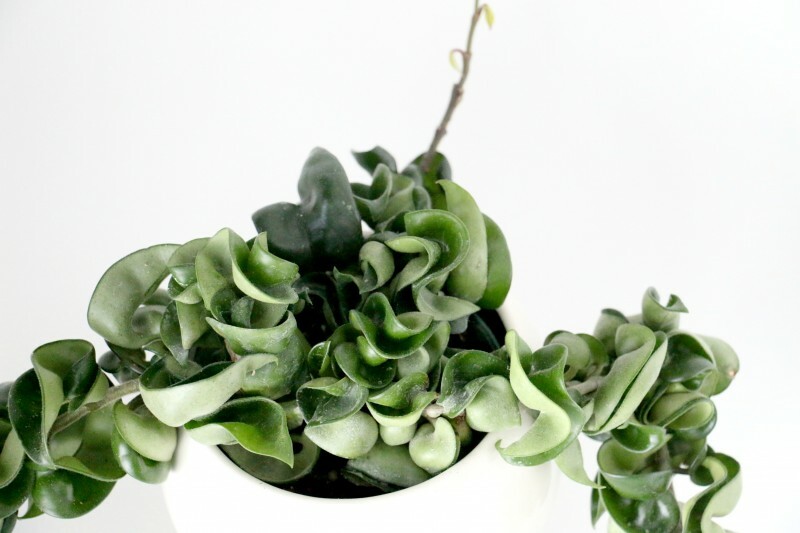 Hoya carnosa compacta aka Krinkle Kurl or Hindu rope plant is a plant with thick, twisted, curly leaves, hence its name. The waxy green leaves have fine tiny hairs on the underside you can mostly feel than see by brushing your fingers against them. The contorted leaves make this plant quite interesting. I have had this plant for about a year but can’t say it has grown much. Only a few new leaves have popped up. Its originates from Eastern Asia and Australia. They apparently grow in tropical rainforests where they climb on trees and rocks growing towards the light. They can be easily trained to climb on a trellis or something similar and are quite easy to take care of. Research for this plant was a tad hard because of conflicting information. While some sources say normal indoor humidity will do fine, others say it needs high humidity. 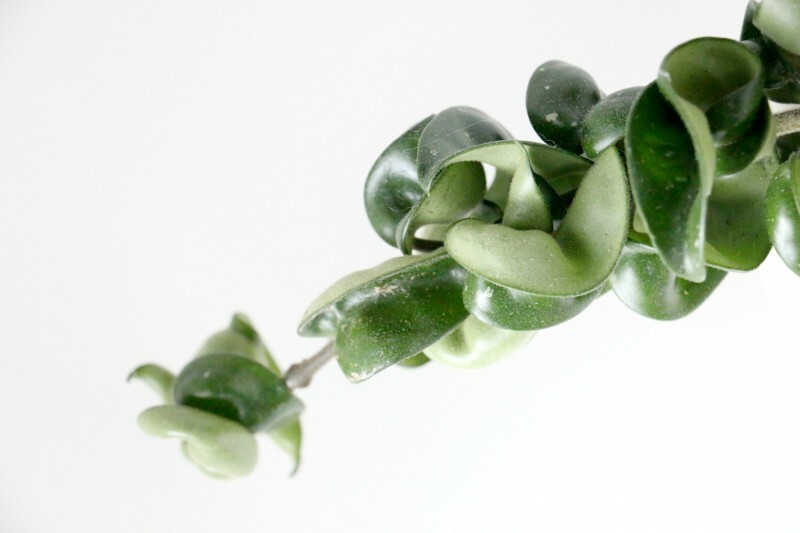 while others say its succulent leaves means it will tolerate drying out, others say it needs constant moisture! While other sources say a north window will do (low light exposure), others say a southern window is best. From my experience, I would say it requires bright light and will even tolerate some direct sun which will promote flowering. I did keep it in a north window for about 6 months and although it did not die, it grew new leaves very slowly and they were much smaller than the mature leaves. I do not mist them, since I am weary of bacterial/fungal diseases from moisture around the leaves, but that is one way I guess you could increase humidity. I let the soil dry out before watering, so about once every 2 weeks. I find the soil stays wet longer but not sure why. Either I am over-watering, or the shape of the leaves covers majority of the pot thereby preventing fast evaporation from the top soil. Water sparingly in winter. 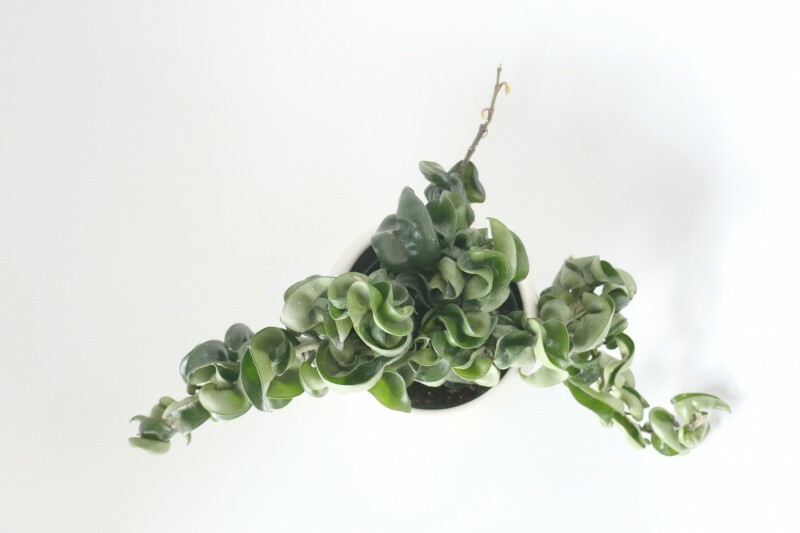 Propagation can be done by stem cuttings. The flowers are a beautiful sight. I have seen a few flowering Hoyas and the cluster of flowers look like they are made out of porcelain. The flowers are said to grow on small spurs which should not be removed (although you can remove the spent flowers). This is because new flowers will grow on these spurs and if you remove them, then the plant has to use more energy to re-develop these spurs before flowering can commence. Leaving them on means, you get more prolific blooming. Due to the shape of the leaves, it is quite hard to clean or wipe down the leaves if they collect dust or soil during repotting. This feature also makes it a good place for pests such as mealy bugs to hide. Frankly I am surprised my plant hasn’t been attacked yet and hopefully it never will. Any tips on growing a healthy plant and how to promote flowering welcome. Hello! 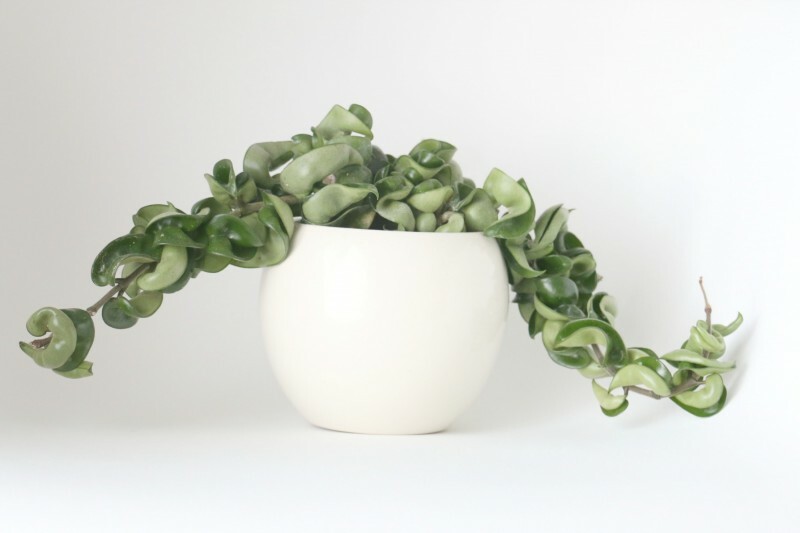 I came across your blog and thought I’d offer some of my tips from growing this Hoya. I found this one just over a year ago at a garden center and picked it up immediately. It was a single vine then. Since I’ve had it, it’s more than doubled in size, bloomed and is currently forming buds to bloom again! This was my first Hoya and my success with this one led me to get three more different kinds. Growing up, my mom had a giant carnosa growing in a macrame plant hanger in the living room window and I remember this plant being covered in blooms during the summer. The scent of the flowers would get really strong at night and when it bloomed the entire house would smell of its flowers. I remember it very fondly! Anyway, here’s what I’ve learned from looking after this Hoya. Firstly, if you want good growth and ever the chance of flowers you need to give it lots of light! 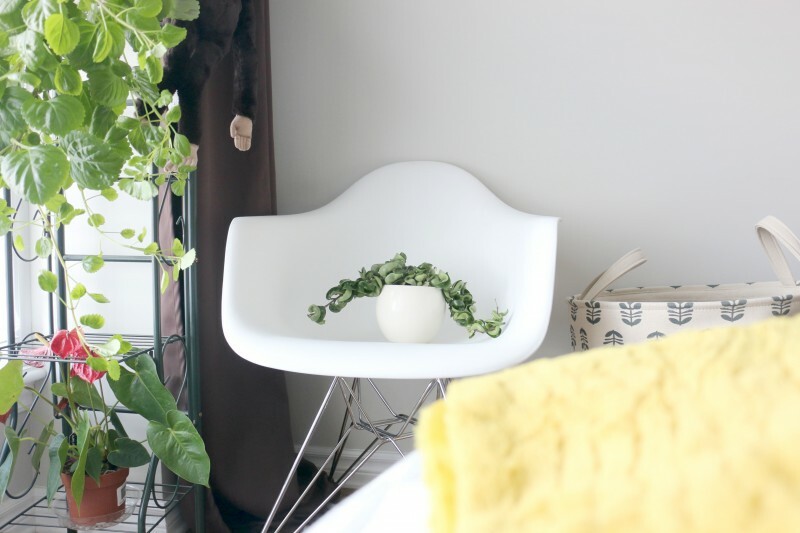 Your new growth is small and slow because it’s not getting enough light. Mine lives on the windowsill of my living room window where it gets the morning and evening sun but indirect afternoon sun. Keep it from the hot direct afternoon sun or the leaves will burn. I found that out the hard way. It will grow year round only slowing down when the days get shorter in winter and picking up again as they get longer. The plant will tell you where it’s happiest if you pay attention to its cues! You’re right about the watering, I find that when mine is growing it appreciates being watered regularly, almost drying out in between. If you let it sit dry too long the leaves will shrivel. If you overwater the roots will rot. When growth slows in winter it doesn’t need water as often. You can feed it with a balanced fertilizer every four or so weeks when it’s growing, that will help it maximize its growing period. When I found my compacta it was a single vine about 8 inches long. It has since doubled in size, producing a new vine from an off shoot on the main vine. I don’t find it needs anything special with humidity and it’s quite dry where I live. For flowers, you’re right about the spurs. Mine bloomed from a spur that formed on new growth. It seems to bloom from the newest spurs first. The flowers took a really long time to develop, almost two weeks, and lasted about a week once they finally opened. They have a sweet, heavy floral scent, almost like hyacinth that gets stronger at night. They’re a dark pink and unlike the carnosa blooms they don’t produce much nectar. Normally this plant needs little attention but when it’s starting to bloom is when it needs a little extra love. The buds are sensitive and delicate when they’re developing so don’t move it, don’t let the soil dry out at all and keep it from drafts. If it gets a draft, dries out too much or has a change in the light the buds will blast and fall off. Mine caught a draft last year after the first blooms had spent and blasted the newly developing buds. Again a lesson learned the hard way! Overall this Hoya is very forgiving and will tell you what it needs if you pay attention to it. I’ve learned a lot from mine and it’s given me lots of affirmation that I’ve gotten things right! Wow!! Thankyou so much for taking the time to share your in-depth knowledge about this plant.